There are four common survival strategies that we typically turn to when our workload causes stress. I call these lizards. Here’s why. A few years ago, I was on vacation in Aruba during an unseasonably sweltering heat wave. I began to notice that the higher the temperature, the more lizards I would see sunning themselves on the rocks scattered around the pool. They were all different sizes, colors, and types. They all had one thing in common: The hotter it got, the more they liked it. You see, lizards are experts at thriving in climates that many species would find unbearable. Your stress survival strategies are just like that. They love the heat. 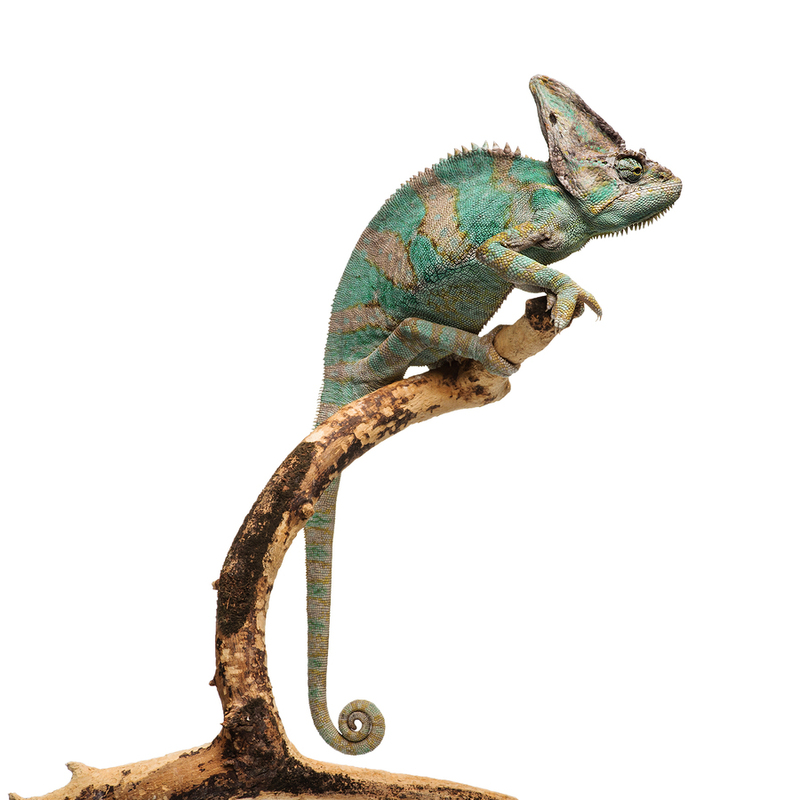 They come out when the situation gets “hotter.” Wondering what your lizards might be? Read on to see if you can recognize yourself in any of these behaviors. This practice is based on a mindset that says, “I have to do everything and be everywhere. I must be accessible all of my waking hours. If I need to be available more, I will simply have to sleep less. To do everything that must be done, I must do many things at once.” When you use your smartphone to catch up on work at a Little League game, in a doctor’s office waiting room, at the grocery store, or in the bathroom, you are mega multitasking. And if you’ve dropped your phone in the toilet, stepped off the curb too soon and narrowly missed getting creamed by a bus, or been just a little tempted to text while driving, you are a hard-core mega multi-tasker. Here’s the problem. It doesn’t work for long. Oh, you get a lot done all right. But you’re feeling that pressure to be always on like a wild wolverine. It will never be satisfied; there’s always more to do. All at once. Maybe mega multi-tasking is not your thing. You may approach your world with the motto “If it’s worth doing, it’s worth doing well.” You do one thing at a time, and you do it with precision. This survival strategy is called over perfecting. It is characterized by the assumption that every effort, task, or project should end up with a score of 100 percent. I have read that it can take as long to get a job from 0 to 99 percent perfect as it can to make it from 99 to 100 percent perfect. Now, I am all for perfectionism from a surgeon. If I need fifty stitches, and the doctor decides that five are good enough, I may have a problem. But over perfecting for the chronically overwhelmed? It’s an Olympic sport. Precious time is invested picking just the right template after trying a hundred thousand or so. Deciding on the ideal color scheme from among options with minor variations that can only be seen under a high-powered microscope. Holding off on making the final decision until there is no scientifically proven possibility that any aspect of the finished product could be deemed, by a panel of esteemed experts, as anything less than sheer perfection. Perhaps your coping mechanism is less about time invested and more about time wasted, which brings us to the next pesky lizard—extreme procrastination. There are very few of us who could ever say that we have never procrastinated on an important task or looming deadline. Extreme procrastinators take the art of putting things off to a whole new level. What picture comes to mind when you think about extreme skiing? Hairpin turns, rocky mountain ledges, heart-stopping vertical drops? Extreme procrastination is the business equivalent. In the life of the chronically overwhelmed, being just ahead of the avalanche is exhilarating. Twisting and turning at breakneck speed is typical. We often think of procrastinators as those who do nothing instead of doing something. Extreme procrastinators are quite the opposite. You do everything instead of doing the most important thing. Constant activity is the measuring stick. As long as you resemble a whirling dervish of perpetual motion, you feel productive. Firmly convinced that anything is as important as everything and doing something is better than doing nothing, you ski on. Always busy and always at risk of being overtaken by the ferocious landslide. Haven’t recognized yourself yet? Don’t despair, my overwhelmed colleague. There’s one more lizard that pops up to bask in the inferno. Whenever you allow the negative feelings from one situation to influence your assessment of another situation, you increase the likelihood of feeling inundated and out of control. Emotional Overdrive doesn’t always look like rage. Each of us has a different brand of “outburst” behavior. For some of us, it’s more like an “inburst.” We hunker down and devour our body weight in cheese puffs. Others get weepy at the slightest provocation. Need I remind you of Alison? Whenever you start thinking in extremes, absolutes, and predictions—like “This happens to me every single time” or “It’s never going to change” or “I swear, if this ever happens again, I am going to quit this job, sell my house, get a divorce, move to Peru, and get a full-body tattoo of the alphabet in every language”—you’re on the brink of emotional overdrive. So there you have it, the four survival strategies that backfire: mega multi-tasking, over perfecting, extreme procrastination, and emotional overdrive—the lizards that come out when the sand gets hottest. Maybe you engage in only one of these. Perhaps you favor all four depending on your workload, or you prefer just some of the strategies some of the time. You’ve probably even noticed that what you’re doing works. For a while. But right below the surface, there is always a hint of a feeling that one day, the wheels will fall off the bus, and you are not in control after all. Not really. So, what to do? For now, just stop and take a breath. Noticing is half the battle. Try these 10 Tips for Getting Unstuck Now. In my next post, I’ll share some more strategies that work. If you’re in a rush, you’ll find them here in my free e-book. And if you’d like to dig deep into the topic get Gary Keller and Jay Papasan’s book. The One Thing: The Surprisingly Simple Truth Behind Extraordinary Results. Hey, before you go, have your say. How does this post resonate with you? What tips do you have for avoiding becoming overwhelmed? HI Cathy. I did enjoy reading your article. I would like to share with you a story about my daughter that brought to my own awareness of being a “perfectionist”. My daughter had some struggles with homework (math), when unable to understand a math problem, my mother instincts to try to help, with no avail; she refused to continue on with the next question as per my recommendation. She totally refused to even consider looking to the next question and move forward. Trying to communicate with her that it is ok not to fully understand what is being ask, you may discuss it with your teacher for better clarification, and move on. It is better to have 9 out of 10 questions answered, then to 0 out of 10. Keep moving forward, its ok if don’t have all the answers, ask questions and keep asking until you do, but never stop. I understand how she feels about this, and I changed my own behavior … ask questions, keep moving forward and never stop. Hi Evelyn – Thank you for sharing an example that is so close to home for you. It’s a powerful lesson on how these tricky little stress strategies can take hold! Sounds like you were able to take a step back and shift in a direction that works a bit better to reduce the pressure to perform.